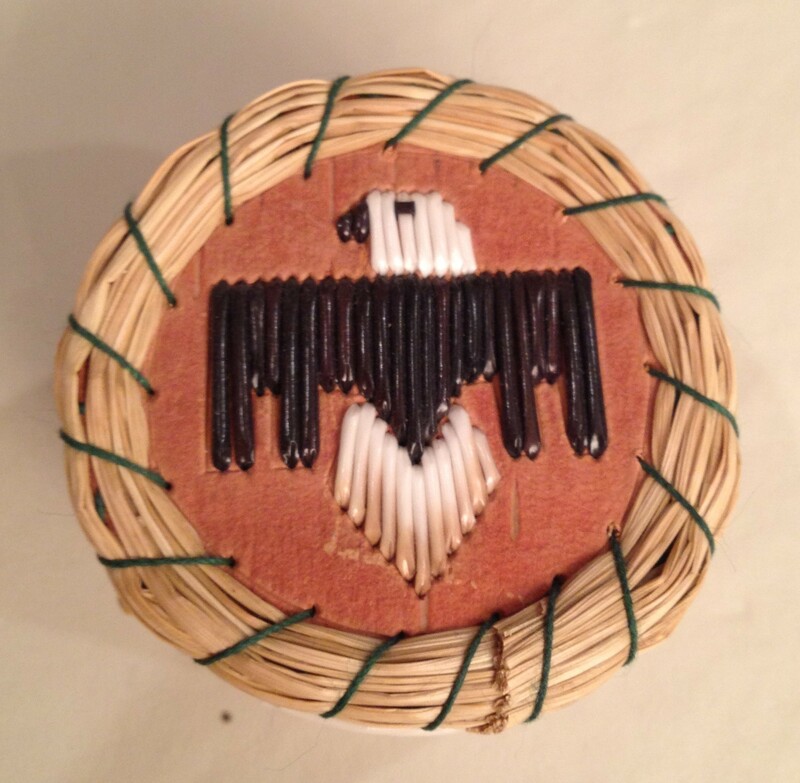 Recent, I attended a powwow and met a remarkable artist, Bonita Bent-Nelson, also known as Quillwoman. How she earned the name Quillwoman is obvious once you see her quillwork. 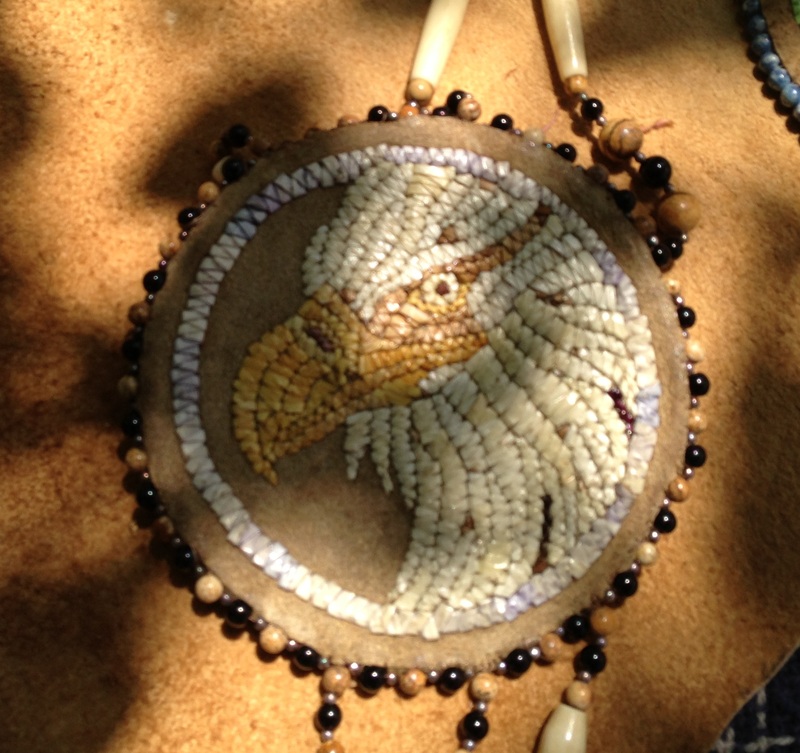 But before we look at Bonita’s work, let’s learn a little about Quillwork. Quillwork is a form of textile embellishment traditionally practiced by Native Americans that employs the quills of porcupines as a decorative element. Porcupine quillwork is an art form completely unique to North America. 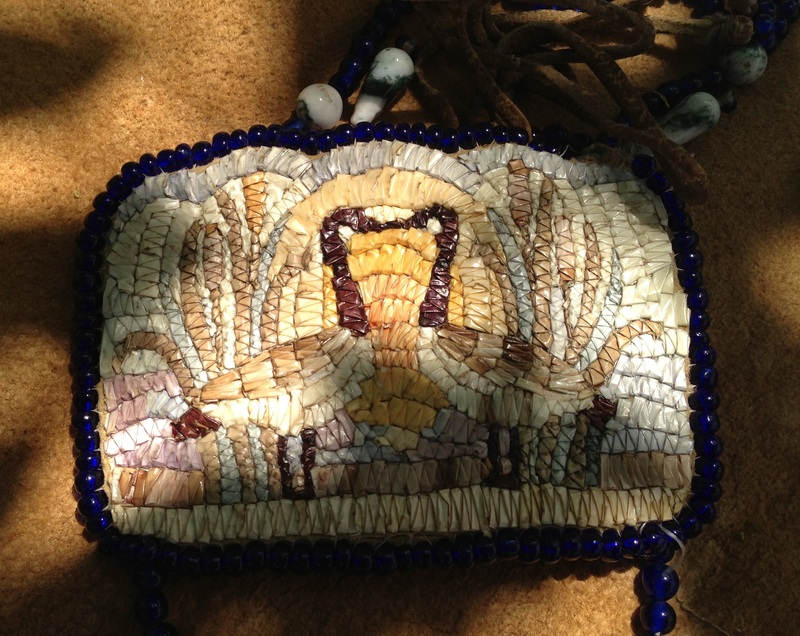 Before the introduction of glass beads, quillwork was a major decorative element used by the peoples who resided in the porcupine’s natural habitat. The use of quills in designs spans from Maine to Alaska and south to the Mexican border. Where you find porcupines, you find some form of quillwork. The earliest known quillwork was found in Alberta, Canada and dates back to the 6th century CE. Cheyenne oral history, as told by Picking Bones Woman to George Bird Grinnell, says quilling came to their tribe from a man who married a woman, who hid her true identity as a buffalo. His son was also a buffalo. The man visited his wife and son in their buffalo home, and, while among the buffalo, the man learned the art of quilling, which he shared with the women of his tribe. Joining the Cheyenne Quilling Society was a prestigious honor for Cheyenne women. 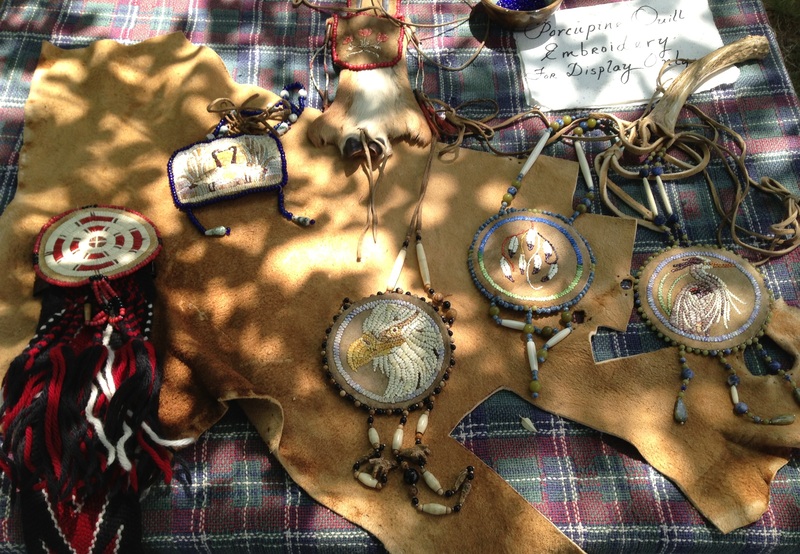 Upon entering the Society, women would work first on quilling moccasins, then cradleboards, rosettes for men’s shirts and tipis, and ultimately, hide robes and backrests. Porcupine quills often adorned rawhide and tanned hides, but during the 19th century, quilled birch bark boxes were a popular trade item to sell to European-Americans among Eastern and Great Lakes tribes. 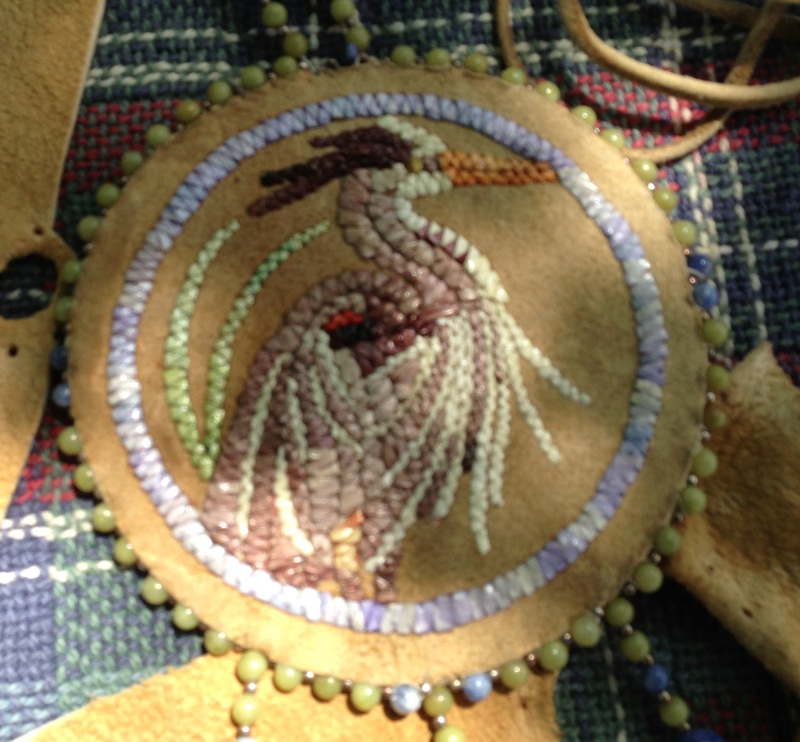 The Odawa were famous for their beautiful quillwork embroidery. Quills suitable for embellishment are two to three inches long and may be dyed before use. In their natural state, the quills are pale yellow to white with black tips. The tips are usually snipped off before use. Quill readily take dye, which originally was derived from local plants and included colors such as black, yellow, red, and blue. By the 19th century, aniline dyes were available through trade and greatly expanded the quilling palette. The four most common techniques for traditional quillwork are appliqué, embroidery, wrapping, and loom weaving. Appliquéd quills are stitched into hide in a manner that covers the stitches. In wrapping, a single quill may be wrapped upon itself or two quills may be intertwined. Above, a traditional quillwork knife sheath. Today, most quillwork is decorative and done on a birchbark base. 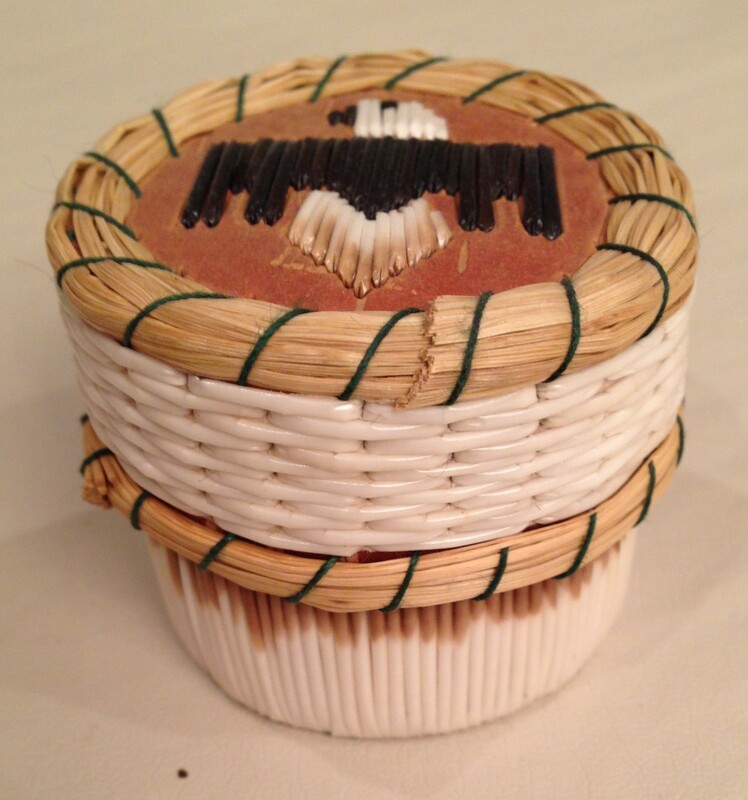 This small birchbark, sweetgrass and quillwork eagle box from my own collection illustrates the type of quillwork most often seen today. In many places, quillwork is a dying art because it’s difficult and porcupine quills are not readily available. When I saw Bonita’s work, I was stunned, not only at the beauty, but also at the amount of work and preparation that goes into the product, even before the quills are ready for embroidering. Most quillwork is done with the quill in intact, meaning still rounded, but Bonita cuts each quill apart and uses the quill itself as thread. You can see the difference between the older knife sheath, my eagle box and Bonita’s work, below. 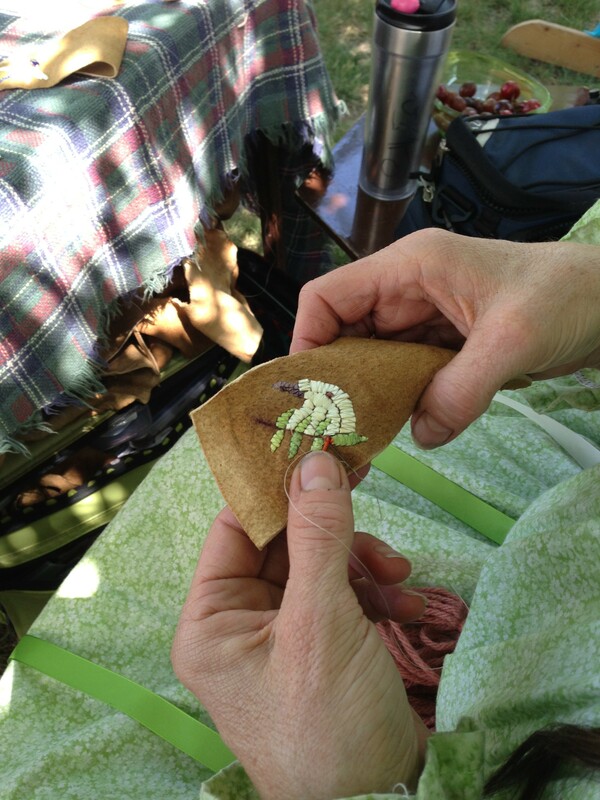 Most of Bonita’s work is done on leather, not birchbark. I asked Bonita how she began, and she told me that she found a dead porcupine and plucked it’s quills. As with many skills, she learned the basics from elders, but then, she was on her own. As you can see, she has developed her own artistic voice. Bonita was told that her first year, which is in essence a form of apprenticeship, was her give-away year. Everything she made that year was to be given away. The concept of “give-away” in the Native community is linked to the spiritual aspect of grace and gratitude. It has more to do with the giver than the receiver. Bonita says, “I learned quillwork almost 20 yrs. ago from the late Cherokee elder Ganda-gija-I. Creator gave me the gift of quills and my work reflects that gift. 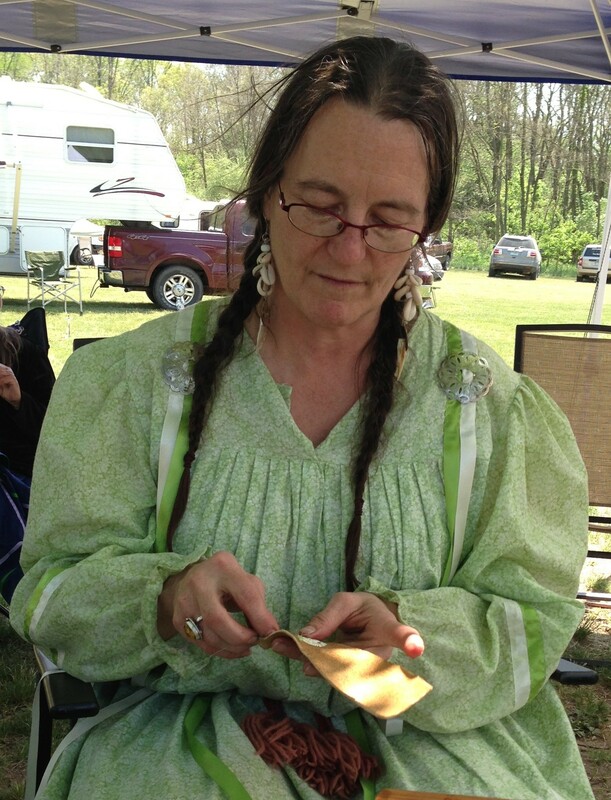 I demonstrate and give workshops and lectures at powwows, historical reenactments, universities, museums and cultural centers throughout the Great Lakes. In addition to powwows and reenactments, Bonita has worked with the Eiteljorg Museum of American Indian and Western Art in Indianapolis, IN and the Museum of the American Indian in Evanston, IL. Her work has appeared in Native People’s Magazine and as cover art for Studies in American Indian Literature. Bonita is not an enrolled tribal member, but has both Cherokee and Southern Cheyenne ancestors. I addition, she is an adopted Odawa. I was absolutely fascinated by her work and the realism that she is able to achieve. I had been at Bonita’s table, under a tree for several minutes, utterly engrossed in her work, when I became acutely aware of movement directly beside my head. I turned my head and to my amazement saw…. Meet Abby Bent. Abby nearly gave me a heart attack. She was quite interested in what I was doing and was looking over my shoulder at her “mother,” Bonita. Abby goes to powwows and reenactments with Bonita. Why, Abby Bent even has her own facebook page, friend and followers. 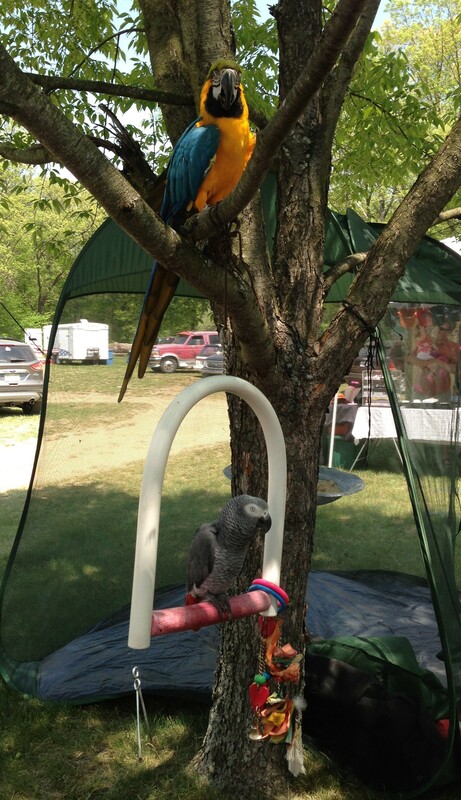 But that’s not all, Abby had a sidekick, an African Grey named Shaka Zulu, adopted last year when his owner died. Unfortunately, one of Abby’s favorite things to do it to unhook Shaka’s perch chain from the tree and watch poor Shaka drop to the ground. Who thinks birds don’t have personality has never met these birds! 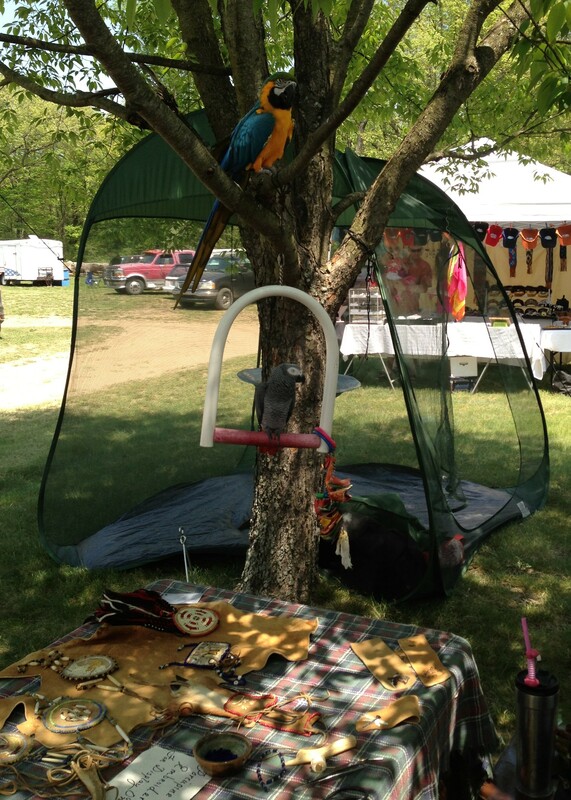 As you can see, Bonita’s table where she works and displays her wares is right here, beside Abby and Shaka, and she keep an eye on both, much like a couple of feathered toddlers. 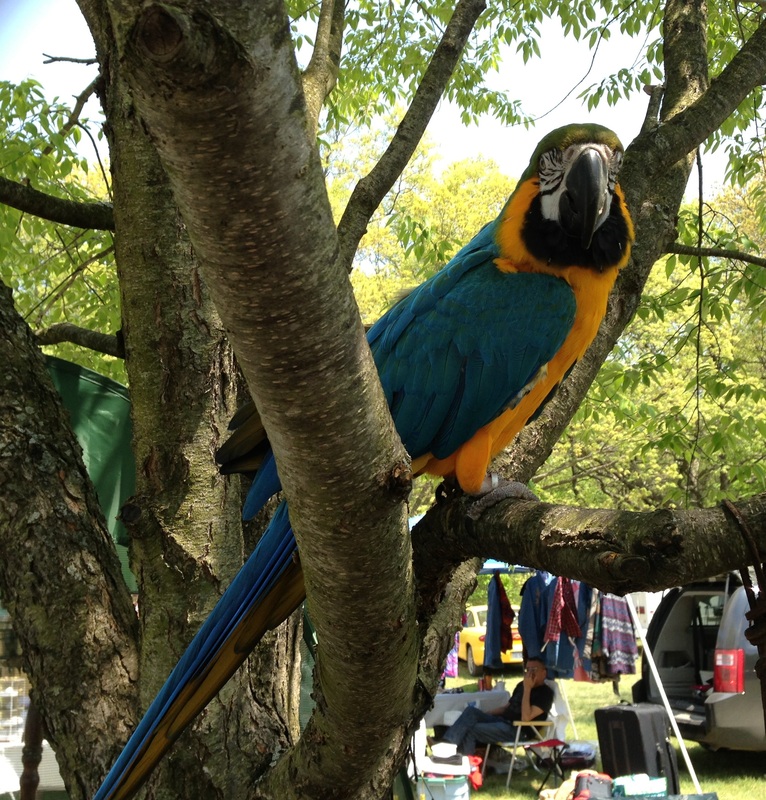 One thing is for sure, you won’t forget meeting Bonita and her traveling menagerie anytime soon. It you want to find Bonita, she is on Facebook under “Bonita Bent Nelson” where you can see more of her astounding work, powwows, reenactments, and of course, Abby and Shaka. This entry was posted in Art, Cherokee, Cheyenne, Odawa. Bookmark the permalink. Very good reporting and closeups of the person and the work. I knew nothing about quillwork and how it preceded beadwork until I read this. I have to tell you, I didn’t have a camera with me and I took these photos with my iphone. I had doubts about the quality of the pictures but they were fine.